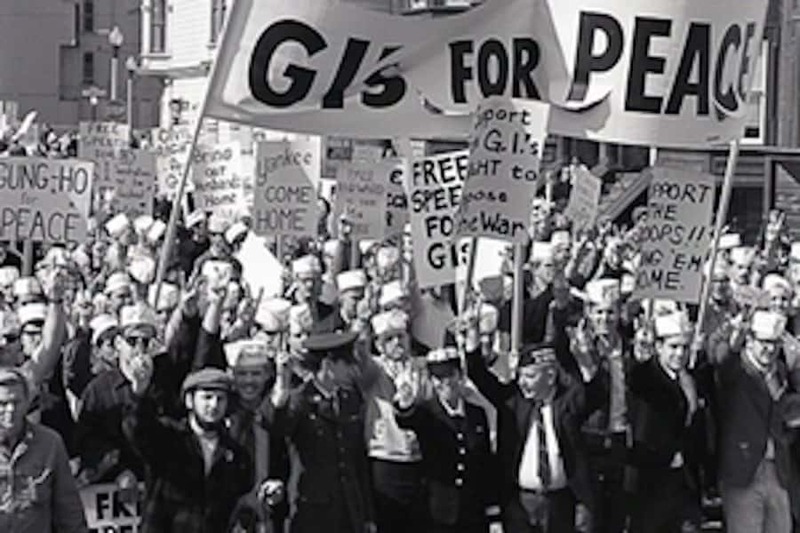 Taking place 50 years after the Vietnam War and 15 years since the U.S. invasion of Iraq, over 100 attendees will gather on the campus of the University of Notre Dame to examine the implications of historic and current GI movements for peace from May 22-24, 2018. Conscience and Resistance from Vietnam to the Present, featuring David Cortright, Susan Schnall, Tran Xuan Thao, Jonathan Hutto and Nathan Smith. Historical Perspectives on the Vietnam Antiwar Movement, featuring Michael Kazin, Christian Appy and Madame Ton-Nu-Thi Ninh. The conference will also host the U.s. debut of the exhibit, Waging Peace: U.S. Soldiers and Veterans Who Opposed America’s War in Vietnam. The exhibit is on display in Notre Dame’s Hesburgh Center for International Studies through June 15. It is free and open to the public. The full conference schedule is available at kroc.nd.edu/VoCConference. For more information, contact Hannah Heinzekehr, Communications Program Director at Kroc.